“Which in time past were not a people, but are now the people of God: which had not obtained mercy, but now have obtained mercy.” (1 Peter 2:10)There are many wonderful things awaiting us in heaven if we have trusted Christ for our salvation. “Eye hath not seen, nor ear heard, neither have entered into the heart of man, the things which God hath prepared for them that love him” (1 Corinthians 2:9). But there are also many wonderful gifts and privileges we have right now. In the first place, we already have eternal salvation. “Behold, now is the accepted time; behold, now is the day of salvation” (2 Corinthians 6:2). That means also that we are free from any condemnation at the judgment. “There is therefore now no condemnation to them which are in Christ Jesus” (Romans 8:1). We have already been justified—that is, declared righteous with the righteousness of Christ Himself. “Being now justified by his blood, we shall be saved from wrath through him” (Romans 5:9). “But now the righteousness of God without the law is manifested . . . Even the righteousness of God which is by faith of Jesus Christ” (Romans 3:21-22). As our text says: we right “now have obtained mercy” and right now are “the people of God” (1 Peter 2:10). The apostle John confirms this glorious truth in a beautiful passage. “Beloved, now are we the sons of God, and it doth not yet appear what we shall be: but we know that, when he shall appear, we shall be like him” (1 John 3:2). 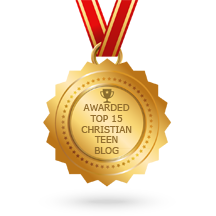 This entry was posted in A CLICK A BLESSING TODAY, Maranatha and tagged Right now!. Bookmark the permalink.